If you want to train with the ammunition you carry this is the product for you. 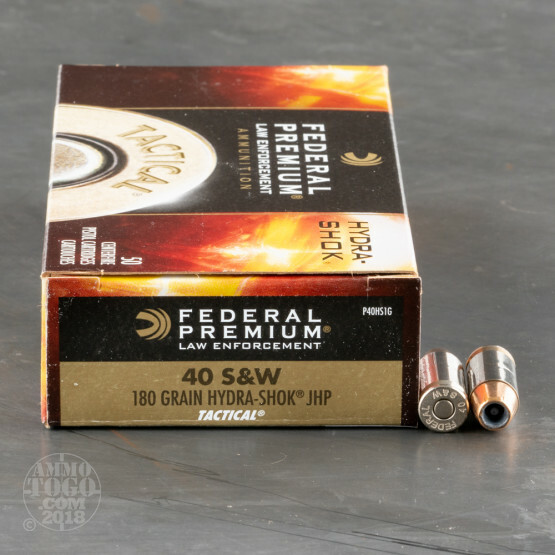 These 40 S&W rounds from Federal are loaded to perform when your life is on the line. 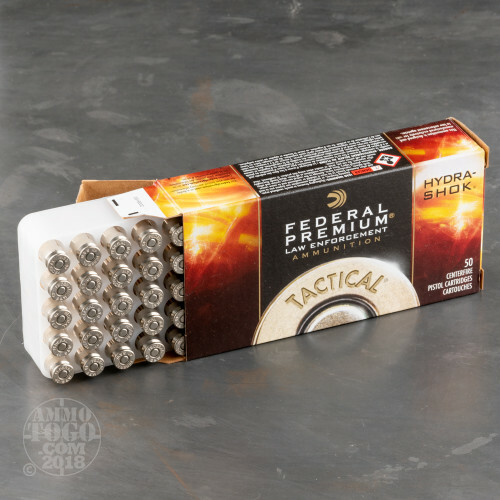 The Hydra-Shok line of ammo features a unique center-post design that delivers controlled expansion and efficient energy transfer. 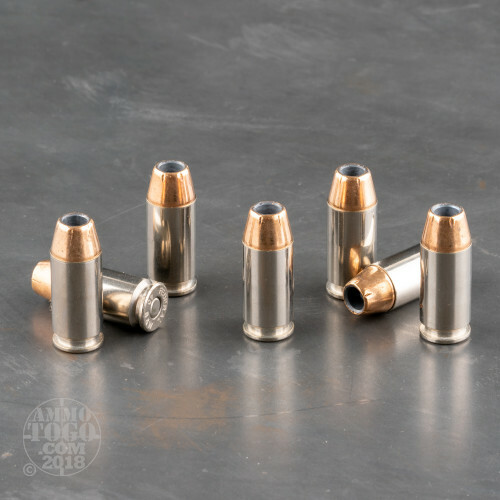 These 180 grain projectiles leave the barrel at 1000 feet per second and the cases new production nickle-plated brass with boxer primers. 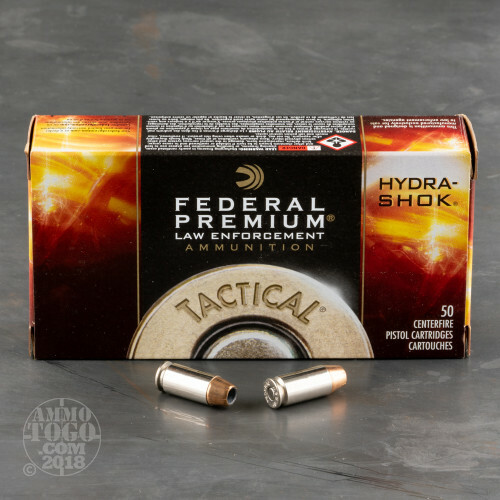 Federal Hydra-Shok is a top of the line self defense cartridge that is trusted by by both law enforcement professionals and civilians.